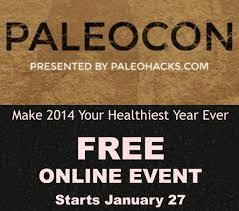 Are any of you listening to the free, on-line lectures this week via either Future of Nutrition or the Paleo Con? They’re great! What a wealth of information, motivation, and inspiration. If you want to improve your health or lose weight, you’ve got to change your brain. To do that, you’ll need to fill your brain with thoughts outside of your normal thought patterns. If “diet mentality” has dominated your thoughts, then listening to totally different perspectives, over and over again, will help you shift to thinking of food as medicine/information/how we feel/chemistry; not math/calories/our enemy. 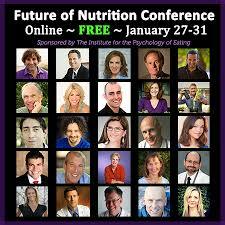 These conferences are turning the Diet Industry paradigm on it’s head; I love it! Can you think of one other industry on earth that Fails so regularly, completely, perpetually, and yet is promoted, advised, trusted, and believed over and over and over again? Every year people spend BILLIONS of dollars on diet foods, diet pills, diet potions, diet programs, weight loss surgeries, and every trick in the book, to either lose weight and gain it back, or not lose weight at all. It doesn’t make sense: fool me once, shame on you, fool me twice, shame on me. Diets don’t work. Ever. One of the speakers likened Dieting to holding a volleyball underwater: as soon as you let it go, KaBoom! He also said that when you’re a Dieter, you either have Good Days, or Bad Days. Who relates to that?? How many times have you said that to yourself: I was bad today. ? That’s a sure sign you’re in Diet World; you’ve either stuck to your low calorie diet magic foods, or you’ve blown it. You were either Bad or Good. Ugh. Please please please, if you’re stuck in that world, you’re doomed to weight gain, lots of failure, and missing out on life because food, dieting, and weight hi-jack your thoughts. Low fat, low cal dieting also makes you fat, sick, and potentially crazy. Look around. Look at the evidence. 70% of the U.S is overweight. 70%. “You can safely lose 3 or more pounds a week at home with a healthy diet and lots of exercise, says weight loss counselor Katherine Tallmadge, RD. If you burn 500 more calories than you eat every day for a week, you should lose about 1-2 pounds per week. Do you see the insanity of this line of thinking? It’s NEVER worked. Science has proven for years that reducing calories and withholding nutrients sends our body into STORAGE MODE, not burning mode. Even hours of exercise won’t work, trust me. Exercise for health, not weight loss. Besides that, 1,050 to 1,200 calories a day? Can you say, “starving frenzy”?? I mean, talk about a rebound binge waiting to happen. I’ve had two emails this week expressing sadness over saying goodbye to favorite foods. Expressing sadness over anticipated, up coming hunger and deprivation. This doesn’t have to happen. Eating a Real Whole Foods/Paleo/Primal type diet isn’t about low calorie, or low carb, or low fat, or hours of exercise. It’s not about small plates, counting calories, putting your fork down, or counting your chews. It’s about deleting processed foods and eating good sized meals of meats, fats, vegetables, some fruits, some nuts and seeds, and some whole fat dairy if you can digest it. It’s being a “nutrient seeker”. If you’re actually hungry, then you need to eat more at your meals. If you did eat adequately, then recognize that your hunger isn’t “hunger”, it’s just your brain wanting pleasure from the foods you’ve been spoiling it with, or it’s crying for the constant stimulation it’s used to. That might sound a little harsh, but it’s the truth. There’s an upside to that though. Our body, our brain, our taste buds, our neural nets – they’re adaptive. They won’t adapt to starvation, or actually, they’ll adapt with negative patterns, habits, thoughts, and results, but they will adapt beautifully to a lifestyle that focuses on feeding yourself sufficient nutrients to build your cells, repair damage, fight virus and bacteria, and have normal, healthy levels of neural transmitters like serotonin and dopamine. You know, before “dieting” became a “thing” in the 1970s, very, very few people were overweight. It’s time to throw off the diet yoke. It’s never worked for anyone. Quit making yourself crazy, and focus on re-aligning your brain to accomodate planning, packing, and cooking. Start looking at food, even fat, for the nutrients it provides. Start looking at processed foods as the toxic chemical poisons they are. You are not destined to be overweight, sick, or tired. You can be a healthy weight, unbelievably well, and energetic. Eat foods that nourish your mind and body. Be a Real Whole Foodie. Can you handle yet another post on Food Addiction? Because I have one in my head, and it needs to get out. One of my favorite radio programs is a syndicated talk show called New Life Live. it’s four psychiatrists on Christian radio, they get all kinds of questions and give great advice. Until the other day. A mother called in, concerned about her young, very overweight daughter. Her description of the problem goes like this: she’s athletic, involved in sports, is very, very heavy, eats fast, eats often, and eats more than her parents or her brothers, now she’s being teased at school and is feeling very sad about it. Their advice: get her to eat more slowly, it’s all about portion control, put down her fork between mouthfuls, chew more, and convince her to verbally express her feelings over the teasing and the weight. O.M.Gosh. Portion control? Chew more? Fork placement?? Oh, and how does she feel? That’s easy: embarrassed, heavy, humiliated, starving, can’t control herself around food, wishes she looked like the skinny girls in class; doesn’t take a mind reader. Their advice was very well-meaning, they wanted to help; but it was horrible advice that doesn’t work, ever, for food addicts. Food addicts are compulsively driven to eat food: when they’re full; when they don’t need it; when they’re so stuffed they feel sick. Telling a food addict to use portion control to lose weight and feel better about themselves is a joke. Even the catchy buzz word “Mindfullness”, which is a practice I totally agree with and am trying to work on, is meaningless to an addict. Mindfullness is impossible when the mind is full of buzzing neurons and hormones driving you to eat – fast,.. now,.. as much as possible. The addicts brain isn’t “right”, and trite advice that really doesn’t work for anyone, makes them feel even worse about themselves when they can’t do it. The Counselors didn’t spend one second examining the food situation in the house. Not a second. Like food doesn’t matter! Here’s the facts: if you’re eating processed foods, foods full of refined sugars and grains, hydrogenated oils, and chemicals, you’re eating foods that’s been chemically created in a laboratory to STIMULATE your BRAIN and MAKE YOU WANT MORE. Honest! Read Sugar, Fat and Salt, by Michael Moss, read The End of Overeating, by Dr. David Kessler. These are just two books about the science and marketing behind the Food Industry. It’s shocking and amazing, and it’s the truth: processed food ( that includes fast food and chain restaurant food) is DESIGNED to make you want it BAD. If they’re a regular part of your food habits, there will be no “managing” your intake. There is no “portion control” with Doritos, Lays potato chips, commercial ice cream, fast food french fries, Keelbler cookies or CapN Crunch cereal. If there was, they’d remake the formula. Big Food is big, serious business; mistakes and failures are quickly corrected. If processed food is part of your diet, even a little tiny part like just a little cereal, a few cheese crackers, or a bagel every day, then you’re stimulating your brain with substances that keep you enslaved and coming back. Ending food addiction means 2 things: (1) giving up processed foods, it just has too. ( Yes, breads, pastas and grain flours are “processed foods”, 100%), and (2) eating a diet of nutrient dense foods. In other words, you have to quit eating foods that stimulate addictive neural behaviors and have bad hormonal affects, and load up on foods that don’t stimulate your brain, cause the right hormones (satiety hormones) to be released, and satisfy your bodies demand for necessary nutrients. Are you thinking that you’ve lost weight before on Processed Foods, like frozen diet meals, diet drinks, diet candy bars, and diet ice cream? Did you keep it off forever, or did you gain it back? There’s almost a 100% chance you’ve gained it back. You didn’t CHANGE YOUR BRAIN, you just white-knuckled/will powered through a period of dieting. When your will power was gone, it ended. Studies show that your period of dieting probably created even worse neural patterns than you had before, something called “famine brain”: neural and hormonal patterns that make you compulsively seek out and eat food. I’m telling you that if you change your diet to one of Real Whole Foods, and figure out how to make that work for you all the time (through work, weekends, nights out, vacations, and STRESS), your compulsive eating will end. If you need help with this, work with me. It’s only effort til it’s habit! What should these counselors have said to this mom? Time to change your kitchen and your pantry. You’re going to have to use Real Whole Foods to make your breakfast, lunches, and dinners. Everyone’ll have to get on board. Processed bags of cereal, chips, and cookies will have to go. You can’t control your kid’s whole world, but you can control your house. If your child was addicted to cigarettes, would you smoke around them? If your child had a drinking problem, would you keep alcohol in the house? It’s the same with food. We all have to eat – food makes our body. But we DON’T have to have foods in the house that cause addiction, stomach issues, bad skin, headaches, attention disorders, heart disease, high blood pressure, high blood sugar, and cancer. We don’t. Seriously. Fill your kitchen with meats, healthy fats, vegetables, fruits, nuts and seeds, good full fat dairy; foods that have to be cooked and prepared, not just munched right out of the box. Real Whole Foods. Will your kids complain, whine, cry, and rebel? Yes……Learn to tune it out. They’ll live; and you’ll live through those first weeks of negativity flying off them and onto you. Persevere. Nothing is easy in the beginning, but everything gets better when it becomes the norm. If they don’t eat, they don’t eat. Again, they’ll live. Take control of your own and your children’s health. Be a leader, a role model and an example. Don’t let your kids go down the path of obesity and poor health that’s plaguing our country and shows no signs of slowing down. Processed foods are killing people. Don’t let this happen to your family. Be a Real Whole Foodie. January 23, 2014 / Debbie / Comments Off on Success Story Inspiration! I’ve got another Success Story to share with you, from a client who’s 68 and struggled through years of different diets. She’s helping to illustrate – again – that “diets” don’t work, none of them. As long as you’re focusing on the perfect meal plan, or the right amount of calories, or even worse, tracking calories in- calories out, all that happens is obsession, craziness, and incredibly powerful backlash-binges. Remember, almost 100% of everyone who loses weight on a diet gains it back. The secret to permanent weight loss and ZERO FOOD STRESS? Start in your mind. Work on deleting the deeply ingrained notions about dieting that you’ve heard your whole life. A healthy weight and a healthy body comes from FEEDING it, not starving it. Starving your body just makes it scream more loudly at you. That temper tantrum is actually for nutrients: good fats, quality proteins, carbohydrates from vegetables and fruits, vitamins, minerals, water and phytonutrients that your body needs to make and repair cells. There are no nutrients in fat free pretzels, low fat Starbucks lattes, or Weight Watchers Frozen Meals. They’re all crap food, and your body will protest – loudly. 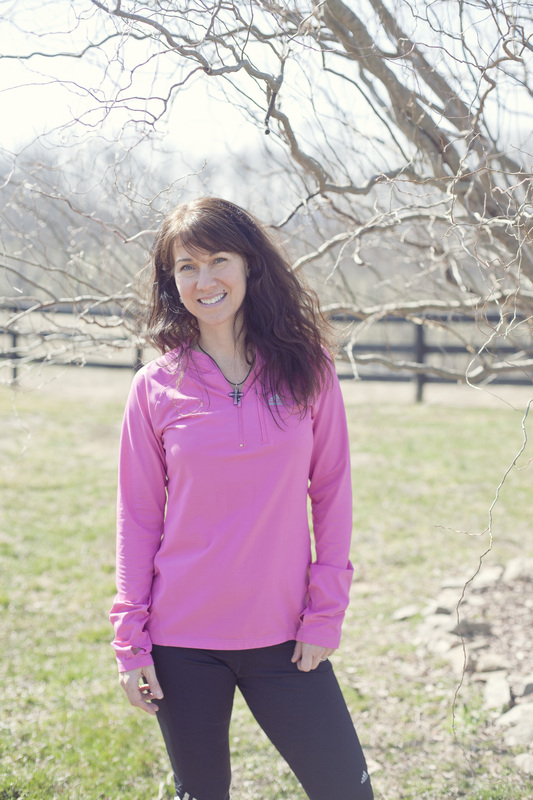 Read Carolyn’s story; think about your own history of health and dieting, and be determined that today is the day you start making permanent changes to your foods, your habits, and your thoughts. 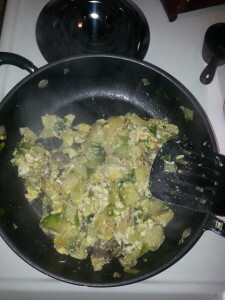 Check out my What I Eat page for ideas, it’s all about Real Whole Foods. “I’m a sixty-eight year old woman who has been dealing with weight issues since my last child was born in 1977. (Seriously!). I kept on a extra 10 pounds after her birth and then every year or two, I added another pound. (That doesn’t sound so bad). Well, adding a pound every year meant that now I was up another 10-15 pounds. Weight gain in spite of buying all the latest diet books and magazines that were published each year. I tried low-carb , low -fat, high carb, vegetarian ( which I hated and made me feel horrid), low calorie, portion sized diets. None of these diets made me feel good and any weight lost was quickly regained. Plus, an added result of the weight gain was high blood pressure and high cholesterol. Next came an anti-depressant because I was experiencing a lot of anxiety and didn’t feel so good about myself. I’m a strong person, not weak willed, but for some reason couldn’t get a handle on my eating habits. I have an addictive nature so when I got on to something, especially something made with sugar, I was hooked. I felt like I was fighting myself all the time. Because of a very lovely person, Debbie’s Mom, I was introduced to Debbie and her passion for health and fitness. We hit it off even though we’re long distance. She got me on a road less traveled– common sense. Everything she taught me made sense- sugar is addictive! Preservatives are bad! Diet Coke is terrible! Grains are inflammatory. She said focus on real food that we evolved eating. Don’t measure, don’t weigh! Well, I gave it a try. The worst was no snacking because I evolved snacking. But I persevered and felt great and lost a few pounds along the way. I’m off all medication except the antidepressant. And I don’t obsess about my weight, my body is slowly giving up those extra pounds. Diet Miracle, or Avoid At All Costs? January 20, 2014 / Debbie / Comments Off on Diet Miracle, or Avoid At All Costs? Every now and then I like to rip apart a Food Product that’s somehow attained a healthy status. We’ve all heard of “Ensure” and “Pediasure”. These products are actually recommended by doctors and passed out in hospitals, nursing homes, and cancer centers as if they contain Magical Properties. They don’t. They’re pure crap, a true “Looks Healthy But Isn’t”. Last night I saw a commercial for Ensure Protein that compared it with 4 eggs, and the Ensure came out on top. My head exploded – you’ve got to be kidding me! Is there NO truth in advertising at all? Let’s take apart the ingredients in Ensure, compare it with the nutrients in eggs, and then you all can decide if you’d ever give it to someone you care about. Water, Milk Protein Concentrate, Corn Maltodextrin. Less than 2% of the Following: Calcium Caseinate, Soy Protein Isolate, Sugar (Sucrose), Short-Chain , High Oleic Safflower Oil, Natural & Artificial Flavor, Magnesium Phosphate, Potassium Citrate, Cellulose Gum, Sodium Ascorbate, Sodium Chloride, Carrageenan, Cellulose Gel, Gellan Gum, Acesulfame Potassium, Sucralose, Zinc Gluconate, dl-Alpha-Tocopheryl Acetate, Niacinamide, Manganese Gluconate, Calcium Pantothenate, Vitamin A Palmitate, Pyridoxine Hydrochloride, Thiamine Chloride Hydrochloride, Riboflavin, Chromium Chloride, Folic Acid, Beta-Carotene, Vitamin D3, Biotin, Sodium Molybdate, Sodium Selenite, Potassium Iodide, Phytonadione, and Cyanocobalamin. Milk Protein Concentrate: This is milk that’s been ultra-filtered; that means all liquid and ALL MINERALS and several other nutrients, have been REMOVED. All of the MPC used in the U.S. ( and it’s in several processed foods) comes from OUT of the U.S.; New Zealand and China are the top suppliers. There’s very, very little regulation over this product, and because it’s cheaper for Big Food to buy it overseas, it’s having an ENORMOUSLY bad impact on American Dairy Farmers. You can read more about this here. By the way, it’s only 40% protein, no fat, no minerals, no vitamins, what’s the other 60%? Soy Protein Isolate: Ugh. Soy definitely got an undeserved reputation as a health food. It’s not. Soy protein is loaded with “phyto-estrogens”, that means plant compounds that mimic estrogen. Men don’t need more estrogen, and neither do women. Soy is “goitrogenic”. That means it disrupts Thyroid Function, who wants that? Soy is incredibly hard to digest and is highly allergenic. Soy Protein Isolate has had ALL nutrients removed, just like the Milk Protein Concentrate. Sucralose: aka, Splenda. The links between Splenda/sucralose and CANCER are huge. Studies show it also destroys beneficial gut bacteria, and raises blood sugar – just like real sugar. Cellulose Gel: This is not the same cellulose that’s in fiberous veggies. This is made in a lab from Wood Pulp. Always. It’s cheap, it’s gives good “mouth feel”, and like every other ingredient in this gross drink, it’s in soooo many foods. Natural Vitamin B6 – Like B1, pyridoxine is bound with phosphate in plants to make pyridoxal-phosphate. This is the biologically active form. Any other form of B6 must be converted into this phosphate combination before our body can use it. Synthetic Vitamin B6 – Pyridoxine hydrochloride comes from petroleum ester, hydrochloric acid, and formaldehyde. It isn’t readily absorbed or converted and has been shown to actually inhibit the action of natural B6 in the body. It also has side effects not normally found with natural food sources of this vitamin. You can learn more by clicking on this link. What about the eggs? What nutrients are in eggs? The answer is really more like, what nutrients AREN’T in eggs? They’re one of natures perfect foods, and that whole cholesterol connection’s been more than put to rest. Our bodies NEED cholesterol for hormone production, Vitamin D production, cell function and formation, and brain health. Most of the cholesterol in our blood is from our LIVER, which MAKES cholesterol; actually, EVERY SINGLE CELL IN OUR BODY MAKES CHOLESTEROL. It’s that important. Back to eggs! Just to name a FEW of the nutrients that eggs contain: Vit. A, D, E, K, thiamin, riboflavin, B12, B6, Pantothenic Acid, Choline, Biotin, Calcium, Magnesium, Iron, Selenium, and if you want to see it all, check here. My real point with this post: Processed foods are Poison Crap that destroy your body and mind and make you sick, and Real Whole Foods are Loaded with Nutrients that your body needs in forms that are highly “useable”. Even foods like Ensure, which have an Healthy Aura around them, are Crap. It really, really matters what we put in our mouth. It matters what our kids put in their mouths. What we eat becomes US. What we eat gets broken down into nutrients that either our body uses to build and repair us, or ANTI-nutrients that harm us. There is no neutral food. Honestly. Feeling overwhelmed because Processed Foods like cereal, frozen meals, and boxed crackers are so easy, fast, and normal seeming? The billions of advertising dollars spent by Big Food has just hypnotized you, it was supposed to! Look around though, 70% of the US is overweight and sick. ADD, ADHD, and Autism have literally infiltrated our children. Depression and Anxiety are the most common mental illness in the US, affecting at least 20% of the population. It’s The Food I Swear! 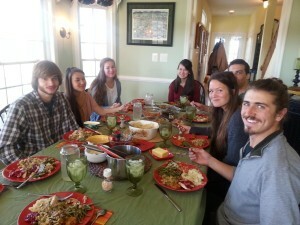 Take control of your life, improve the lives of your children; eat Real Whole Food. Get in touch with me if you need help; it’s not as scary, or time consuming, or impossible as you think. Make the change today to being a whole new you. This past week I’ve had emails on Diet Soda, Weight Watchers points and meals, oatmeal, and a question about an Acai Berry Cleanse. (1) Most of the calories we burn in a 24 hour day have NOTHING to do with exercise. Our liver uses the most energy (calories), with our heart and brain following up. Our muscles use far less calories than these organs. If your blood stream is loaded with sugar (blood sugar readings above 100 on a glucometer), your muscle cells MUST use that excess sugar BEFORE any fat cells get tapped for energy. That’s our Biology. Oatmeal has about 27 grams of carbs/sugar per cup, that’s almost 7 teaspoons of glucose in your blood. “Normal/Optimal” blood sugar is about 2 teaspoons in the blood. Start your day with a big bowl of carbs, and even during a workout, your muscle cells use up that glucose before they burn fat for fuel. (2) If your liver is clogged by years of chemicals, like the ones found in diet sodas and diet frozen meals or any processed food on a shelf, it’s not running well; your shot at your liver using a whole bunch of calories and functioning like it’s supposed to is impeded. Want a clean, high functioning liver? Quit flooding it with toxins and chemicals that weaken it and slow it down. Did you know there are over 10,000 chemicals in our food supply and most of them AREN’T tested? And several that are have only been given a GRAS (generally recognized as safe) status, this means that even though there were several Red Flags in the testing, the FDA approved it anyway. (3) Diet foods, diet drinks, and processed foods are created in labs; the Food Scientists make them delicious and stimulating. Ever notice how hard it is to quit eating processed foods? They’ve been designed to stimulate areas of your brain that make you want more. Honestly. That’s diet and non-diet processed foods. When your pleasure centers in your brain are constantly being triggered by sugars and chemicals, those neural nets get used to that pleasure, they demand it. That’s why so often powerful, overwhelming desires for food practically assault you: certain times, certain places, certain people, print ads, television ads, they can all flip a switch that makes you have to have it now. Here’s a link to one of my favorite sites, Fooducate. They’ve done an excellent piece on Weight Watchers and the ingredients in their Chicken Ranchero Mini Wraps. After reading it, you’ll see why I call this kind of crap “Poison”. Remember, the Diet Industry is a BUSINESS out to MAKE MONEY. (4) If you really can stick to your low calorie regimen, your Thyroid, which is in charge of the Cell Turnover of EVERY SINGLE CELL IN YOUR BODY, will determine that there’s some type of food shortage or famine, and will SLOW DOWN TURNOVER/METABOLISM IMMEDIATELY. Here’s the really bad part: for some people, it’ll only take doing “low-cal” once, for others, it’ll take more, but eventually, that Thyroid stays “down-regulated”. This is why the same diet that worked before doesn’t work anymore, and it’s why the majority of dieters gain MORE WEIGHT THAN THEY LOST. (5) I love the Cleanse questions, I’ve had them for years. Here’s the fact: there is no Cleanse on earth that will pull fatty acids out of your fat cells. Period. The subtle message in Cleanse advertising, showing a beautiful flat stomach, is trying to convince you that if you buy this product, you’ll poop out pounds of fat and then you’ll look like the picture. Don’t be tricked by this! Your poop is mostly water, bacteria from your large intestine, discarded cells and waste products, and indigestible fibers. If your gut is working correctly, the fats/ proteins/sugars/calories and nutrients were extracted in the small intestine, BEFORE they get to the large intestine. Cleanses that promise diarrhea in exchange for weight loss are stupid, so don’t be fooled. Want to “Cleanse”? Quit putting toxins in your liver, kidney, brain, and bowels, honestly. Line 2 baking sheets with parchment paper. 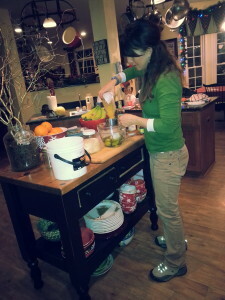 In a large mixing bowl, beat the egg whites and cream of tarter on medium speed. Add the sweetener and cocoa powder. Increase the speed to high until the egg whites form very stiff peaks. Add the vanilla and mix to incorporate. 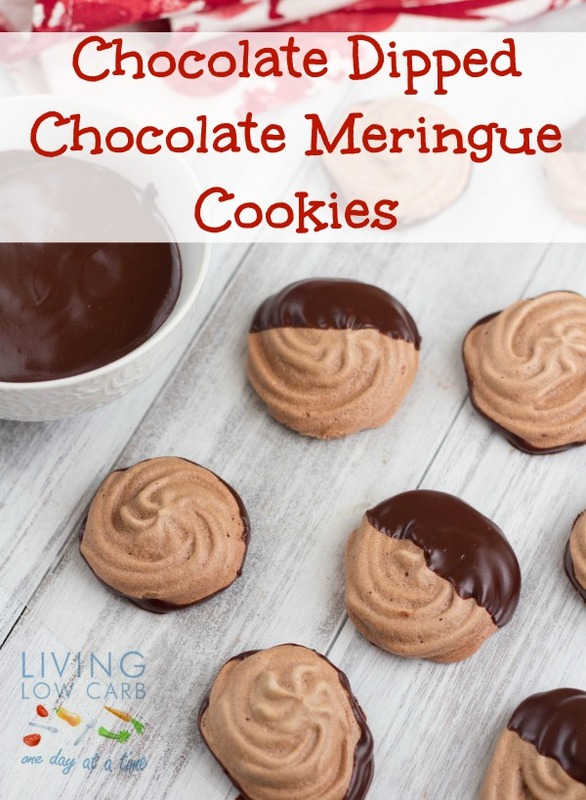 Bake for 1 hour and 20 minutes and turn off the oven and let sit for 3 hours or until the meringues have dried out. Dip the meringue cookie into the chocolate (either just the bottom or half of the cookie) and set on parchment paper. Refrigerate until the chocolate has set. So my husband’s become obsessed with the show “Pizza Cuz” on the Cooking Channel, and it’s made him all antsy to have pizza. He was so entranced that he was flipping back and forth between the play-offs and the show; then he started pacing back and forth like a lion and then he threatened to go buy a Boboli crust and make his own! I talked him off the ledge and set about finding a suitable replacement. I did! I found a crust that’s Paleo/Gluten Free/Grain Free, and it actually works! It’s easy too, unlike the more labor intensive (but delicious) Cauliflower crusts. I got the recipe off of ZenBelly, who calls it “NY Style Pizza Crust”; honestly, that’s stretching it, but it was still really, really good. It’s actually a yeast dough, and it baked up airy and crispy at the same time. Make sure you read her notes, because it’s not at all like making regular dough – it’s about 10X easier: no kneeding, no rolling it out, and the dough is very wet instead of dry. MOMS!! This is a great alternative for your kids!! I doubled the recipe with no problem. My picky youngest daughter liked it, and my husband loved it. This is his pizza here, loaded with toppings (sauce, lamb, olives, swiss, mozzarella, and herbs) and it held up perfectly to all that weight. For the time being, crisis averted. Amazing how jumpy brain neurons can get when they want something, isn’t it. 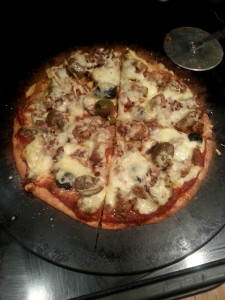 Here’s the link to ZenBelly NY Style Paleo Pizza Crust. Next, I have another Success Story/Testimony I want to share. I hope Jayme inspires you to take the actions to make huge, positive, changes in your life! Debbie Abbott changed my life. At 43 years old, with 4 kids, two of which I had after 40, I was happy with my life but not happy with my body. 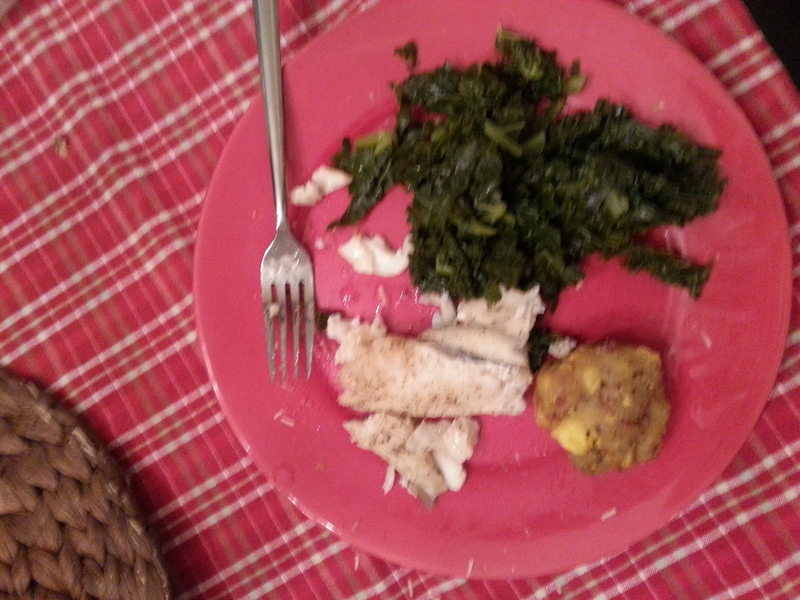 I had never really learned how to eat or how to cook. Almost everything I ate came out of a box or can. So sad and so true. I started working out regularly after my 3rd child was born. I loved it. But I never really changed my eating habits. As a matter of fact I would tell myself, “you worked out, you can eat. Just eat in moderation”. But the weight was still adding up and at 43 years old I found myself at the heaviest I have ever been. I was taking prescription strength antacids everyday for almost 5 years. I had IBS most days and felt tired and bloated every day after about 3 pm. I thought this was normal. For me it was, and I hated it. It was time for a lifestyle change. I knew it, I just had no idea how or where to start. So one day I was on Facebook and a friend shared a link to Debbie’s site www.rocksolidnutritionandwellness.com, I clicked it and never looked back! It made sense, something finally made sense! So I kept reading. I kept thinking, “I can do this, I can do this”. She gave me just enough science to make it stick. Not so much that you turn off the computer or skip to the meal plan part of the book. Which I was guilty of more times then not. Her blog was awesome and it made me finally think to myself that I CAN make a life change and it will work. 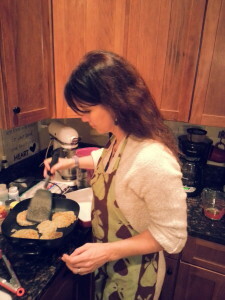 Debbie’s favorite way to end a blog is “Eat Real Food…Good Fats, Clean Proteins, and TONS of vegetables, some fruit, some nuts and seeds, and dairy if you can tolerate it.” In my brain this translated to things that come out of the ground, things with a mother, oh and CHEESE! I love cheese! I will admit the hardest part is only eating 3 meals a day. I was a big grazer. But, when you add the good fat to each meal you just aren’t hungry between meals. Some days I fall off of the wagon with this but I see the most progress with my weight loss when I wait at least 4 hours between meals on a regular basis. However, all the other benefits of clean eating are always consistent and to me that is HUGE. I started this journey July 13, 2013. I am down 25 pounds, and completely off of the antacids. No bloating, and no more IBS. I sleep better then ever and my skin is awesome (for a 44 year old with 4 kids)! I have more energy then ever and I don’t experience the huge mood swings that I used to. My husband, who has been following Debbie too, is down 27 pounds and looks amazing! Food doesn’t have to be hard. Planning ahead helps, but I don’t get fancy with meals most nights. I follow Debbie’s suggestions and always make sure we have something in the fridge to grab. I use my crock pot a lot! It works for me. Toss it in and forget about it until it’s time to eat dinner. Plus, most nights we don’t get to sit as a family and eat. But everyone can grab a bowl and serve themselves out of the crock pot. IT WORKS people and it is not that hard. It’s not and you can do it. Debbie makes it simple and easy. She takes the guess work out of it. She does all the research and I just follow along. I am a true believer and I am so lucky to have found her. Two different issues, but the resolution is the same: Real Whole Foods. Make your meals comprised of Good Fats, Clean Proteins, and TONS of vegetables, some fruit, some nuts and seeds, and dairy if you can tolerate it. These foods contain the nutrients that make up every single cell in our body. Glucose/Carbs/Starches/Sugars – they make nothing. Our body uses a tiny MOLECULE of glucose inside the cells for fuel. Our cells can also use fat and ketones for fuel. That’s how people who live in areas with little to no vegetation thrive. God designed our body to only be able to store a tiny bit of Glucose/Sugar/Carbohydrate, and convert any extra to Fat. Changing gears here, until the mid 1900s, American’s didn’t have a weight problem. Health problems were horrible diseases like Typhoid or Cholera. Check out this chart which relates changes in our food supply to how Heart Disease and Cancer went from almost unheard of in 1900, to being the top two causes of death by 1950. In 2013 we have a better chance of SURVIVING heart disease and cancer, but a GREATER than ever chance of developing it; despite Modern Medicine and all it’s advice. What’s the link between our exploding weight and our horrible health? Food. By 1950 hydrogenated oils like Crisco and Margarine were household staples; in the 70s/80s, high fructose corn syrup became the predominant sweetener used in packaged/processed foods, in the 80s and 90s, chemically enhanced, fake foods and diet foods became a new norm. Sugar went from 18 pounds per person in 1800, to 90 pounds per person in 1900, to almost 200 pounds per person in 2010. Americans have drastically decreased their consumption of fatty meats and saturated fats, and vegetables and fruits. The Results? 70% overweight, more than 30% obese. Heart Disease, continually increasing, Diabetes – EXPLODING, Cancer – continually increasing, Depression/Anxiety/Migraines/Alzheimer’s – EXPLODING…. I could go on and on. The take-away: Dieting hasn’t worked; it’s actually had the opposite effect! Statistically, almost 100% of EVERYONE who loses weight on a “diet” gains it back. Most people gain MORE than they lost. Reducing calories lowers Thyroid hormone, and increases Cortisol. Eat a Low Fat/No Fat Diet, which means carby diet foods, and your Insulin increases. Losing weight becomes more and more difficult with each consecutive diet. The hormonal effect of dieting is disastrous. What’s the latest in this line of research? The effect dieting has on our Neurotransmitters, like dopamine and serotonin. It completely depletes them or whacks out their levels. If our Neurotransmitters aren’t level or normal, we can’t be normal. This is where food addiction comes into play, along with depression and anxiety. Want to learn more? Read the Diet Cure by Julia Ross, it’s fantastic. Want to work on this? Get in touch with me. Think you can’t lose weight by eating meals of Real Whole Foods that contain lots of fat and actually leave you feeling full? You’re wrong. The real fact is you can’t lose weight PERMANENTLY on a diet. Just TRY a Real Whole Foods approach, try and see what happens for a month. Really, what do you have to lose? 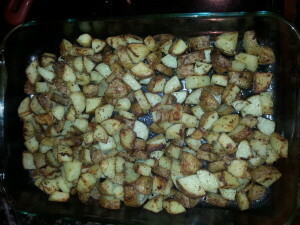 This is Roasted Potatoes: Put about 1/3 cup of butter (I used KerryGold) in a large baking dish (with sides) and let it totally melt in your oven (450) for a few minutes. Scrub and chop a 5 pound bag of Russet potatoes. 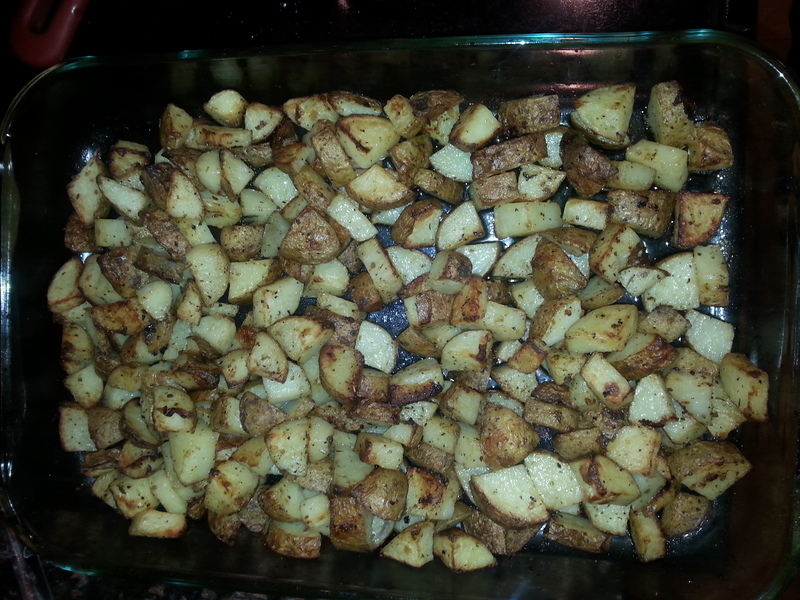 Put the potatoes in your baking dish and mix/stir around so all the potatoes are covered in butter. Sprinkle a LOT of salt and pepper, and Italian seasoning on top. Bake for about 45-55 minutes, stirring/flipping at least twice. Let these cool and then freeze flat in big ziplocs; you can just “break off pieces” and reheat in the oven or a pan with more butter. Here’s Roasted Cabbage, Cauliflower, and Sausage: I made a huge pot of broth (24 hour simmer of chicken bones in water and 1tbsp white vinegar) earlier this week. 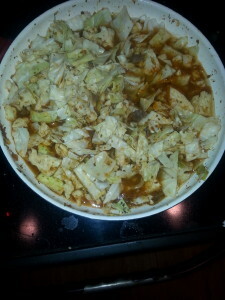 I used 10 cups here, some Malt Vinegar, cabbage, cauliflower, onion, garlic, leeks, sausage, italian seasoning, salt and pepper. This also freezes well. And last, Mark and I went away this weekend; here’s what I cooked in our cabin: brussels and onions in butter, water, salt and pepper, mixed with ground lamb, and a side of fried plantains. The next picture is the leftovers mixed with a few eggs for breakfast. Morning! I’ve received several good questions this week, which I’m going to answer here (questions are “condensed” for brevity). (1) WHAT’S THE DEAL WITH ME EATING SO MANY RAW EGGS; AREN’T RAW EGGS DANGEROUS? I eat raw eggs 4 or 5 times a week, usually 2 at a time. All my eggs are from farmers, not commercial egg producers/grocery stores (except my local, small grocery store, the IGA, which sells Farmer Eggs). I’d NEVER eat a raw egg from a commercial grocery store. At this point, I don’t even want a cooked egg from a grocery store. The egg’s nutrient profiles are a reflection of what they’re fed (grains for commercial chickens; plants and bugs for farm raised). Also, I’d like to NOT support commercial chicken farming. Have you seen how they’re raised? There’s plenty of sneaky youtube videos, and here’s a synopsis to read. There’s so many food myths that have been busted for me in the past few years, and this Raw Egg thing is one of them. 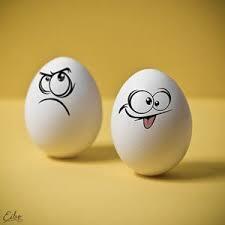 I use Raw Eggs for my self and my family several times a week for 4 or 5 years now, and no one’s become sick. Our Real Whole Food diet’s made us all healthier. Again though, I’d NEVER eat a raw commercial eggs. Interested in learning more? Read Dr. Mercola’s post on Raw Eggs, he includes plenty of sciency facts. BTW: I pay $3.50/doz. Ohh, I got a few emails in response to my milk post, suggesting I’m recommending milk for everyone. Not at all! I’ve said several times that Raw Dairy is a good food – if you can tolerate it. A lot of people can’t. My youngest daughter Shelby tested positive for Lactose Intolerance, although she can tolerate raw much better than pasteurized because Raw Milk has Lactase. Here’s something interesting: there’s two reasons people are “sensitive” to milk. (IMPORTANT: Lactose Intolerance DOES NOT equal an Allergy; allergies can be life threatening. Intolerance/sensitivities gives you bad stomach aches.) Interesting research on milk intolerance is suggesting that it maybe a secondary reaction to Gluten Intolerance, via Molecular Mimicry. Here’s the thinking: No one has the enzymes to digest Glutens (grain proteins). They go thru the small intestine wall, into the blood stream, NOT COMPLETELY broken down, causing “Leaky Gut”. These big proteins aren’t supposed to be in the blood stream, so our immune system mounts an attack. Casein proteins from dairy look VERY MUCH LIKE GLUTEN PROTEINS. Eventually, our immune system MISTAKENLY attacks the casein proteins also. What to do? Heal and seal your gut, quit eating glutens, and often the dairy sensitivities go away. Think that sounds crazy? No crazier than when our immune system attack our joints, our thyroid, our liver, our pancreas, or any other part it wants to in Auto Immune Disease. Those are mistakes also; our immune system shouldn’t attack us, but it happens. 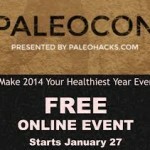 Want to learn more, read this piece by PhD scientist Sarah Ballentyne, aka The Paleo Mom. She’s all about whacked out immune systems as she deals with it herself. Last Question, how many calories do I eat a day? Oh My Gosh I haven’t counted calories in a few years and WHAT A RELIEF!!! I’m guessing, due to huge amounts of fat, that I eat close to 2500/3000 a day. Way up from my compulsive decades of consuming Low Fat /No Fat foods, (until my inevitable binges), where I stressed, starved, and worried every single day about my weight. I eat Real Whole Foods 3X a day, and I rarely EVER snack ( I eat too much fat and protein to get hungry ). If I have dessert ( Paleo!) I have it WITH a meal. My weight? Unbelievably steady. Stomach issues? Zero. Let me say it like this: As I’ve COMPLETELY eliminated dieting/diet foods/diet thoughts, I’ve consistently had the best weight and the best health of my life. I’m feeding my body the nutrients it wants, and I’ve deleted the negative cascade of hormonal results that happen with dieting (high cortisol, high insulin, low thyroid). D – baked fish, roasted white potatoes in butter and herbs, a mix of broth/tomatoes/cabbage/cauliflower/onion/garlic soup. And last question: can I be more specific with my recipes, i.e amounts of ingredients: Sorry, I don’t cook that way. I only use recipe books for their pictures and ideas. 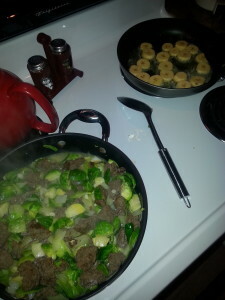 That mix I made for dinner last night or any night? I had those things in the fridge, so I threw them together. 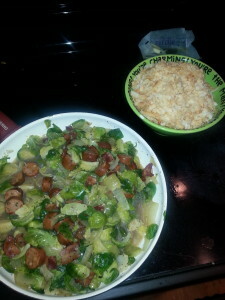 Three nights in a row earlier this week, I made brussel sprouts with various ingredients: broth/butter/bacon/sausage/onions/carrots/sweet potato/cheese. I load on herbs and spices and heat depending on who’s home and what I’m feeling. Cooking’s Not Brain Surgery. ( Baking however is, you MUST follow recipes when baking.) Just put together foods and flavors you like. Real Whole Foods ALWAYS taste good, so it’s hard to go wrong. Keep sending your questions – I love them! Make time to read the links: when you make your health a priority by learning how your body works, it’s easier to make effortless changes to your eating. It’s not a struggle to say NO to cake, cookies, crackers, or fast food when you think they’re poison. Will Milk make you Fat or Skinny? January 8, 2014 / Debbie / Comments Off on Will Milk make you Fat or Skinny? Am I insane to find this article absolutely absurd?!?!?! I don’t know what to believe anymore. I just don’t want to be fat. Apparently this is too much to ask for. Feeling very discouraged after reading this. Four grams of carbs = One teaspoon of sugar/blood glucose. ( I’m using these words over and over to drill in that a carb is a sugar is a carb is a glucose……) . That breakfast yielded about 20 teaspoons of sugar. 20. 20 teaspoons of sugar. Your blood ONLY wants about 2 teaspoons, your liver Only wants about 2 teaspoons. Blood sugar gets used to build NOTHING. Everything else needs to be dispensed with. If you just worked out, or just woke up, you have some empty muscle cells that can use the sugar/glucose. Maybe your liver stores are a little empty too. ALL THE REST OF THE EXCESS GLUCOSE GETS MADE INTO TRIGLYCERIDES AND STORED IN YOUR FAT TISSUE. So what do I think about milk?? I think raw, unpasteurized, grass fed milk is a Super Food. Organic milk from grass fed dairy is great; organic milk from grain fed cows is good. Whole Milk is the ONLY milk you should be drinking, studies show that people who drink whole milk are thinner, and you can only absorb the fat soluble vitamins WITH FAT. Google it. There’s NO WAY anyone could think these chemicals and sugars could be good for ANYTHING. Food’s either poison or medicine. This is poison. If you want chocolate, buy a good cocoa, and add a little stevia or honey. There’s enough carbs in the milk (lactose) to refuel your muscle cells. About the milk making the athletes perform better? Absolutely! What’s your activity level? If it’s low, you don’t need many carbs. If it’s high, you get to consume more. Make them GOOD CARBS: vegetables, fruits, nuts and seeds. Still confused? Test your blood sugar with a glucometer. If your numbers are over 100, STORAGE IS HAPPENING; unless you’re working out, then some of your muscle cells can use the blood sugar for fuel. ***** If blood sugar is high, fat doesn’t get used nearly as much for fuel,( hence, the reason for weight loss on a low carb diet – the low blood sugars increase fat burning). And the whole “you need carbs for energy – like bread and pasta” OMGOSH NO. Do you know how many athletes now shun bread and pasta and thrive? It’s becoming more normal than ever, thank goodness. Check out professional triathlete Ben Greenfield if you’re interested. Here’s a pic of my 49 year old hubby, who drinks a half gallon a day of raw milk. ( it does his body good!) I consume at least a quarter to a third of cup of raw cream every day. Back to the milk question. Everyone’s body is different. These studies showed improved athletic improvement. 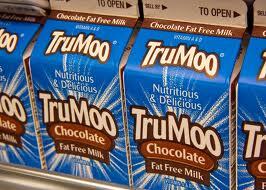 Other studies show that whole milk drinkers are thinner than skim milk drinkers. Bottom Line: NO ONE GOES WRONG WITH REAL WHOLE FOOD. Mofongo Recipe; and, Want to Avoid Cold and Flu? Boost Your Immune System! January 6, 2014 / Debbie / Comments Off on Mofongo Recipe; and, Want to Avoid Cold and Flu? Boost Your Immune System! * Even though the CDC says the Flu Vaccine is 56% effective for most, and 9% effective for people 65 and older, the Cochrane Datebase Review emphatically contests that. They say studies show the vaccine only prevents flu for 1 out of every 100 people vaccinated. Read all those numbers again, then check up on me if you don’t believe it. * A virus can replicate itself by the millions very quickly. Luckily, if we’re healthy, we have HUNDREDS OF TRILLIONS OF IMMUNE CELLS that can fight them. * To Boost your Immune System: optimize Vitamin D, because studies show it’s much more effective than the vaccine in preventing flu; stay away from Grains, Sugars, and Chemicals, which destroy beneficial bacteria in the gut and immediately suppress immune responses; eat foods that have anti-viral/anti-bacterial properties, like coconut oil, grass fed butter, beef, and eggs, garlic, onions, and oregano, to name just a few. * Repeat: Your immune system is MORE important for your health than a vaccine. I made Mofongo!!! For a crowd too – and it worked! If you saw my pictures from Christmas week, you know we went an island off Puerto Rico called Culebra. Our oldest daughter, Meg, is working at a B&B there. I’d heard from her and Andrew Zimmern/Bizarre Foods, that Mofongo is the native dish of Puerto Rico, and that it was delicious. And it is! I had it 4 days in a row for lunch, watched a you tube on how to make it, and finally was able to last night, for 7 of us. Super simple: sauteed plantains, garlic, salt/pepper, and crispy pork rinds ( I used good bacon instead), and then you mash it all together and serve it with fish or octopus ( I had octopus everyday there bc I never get fresh octopus here.) 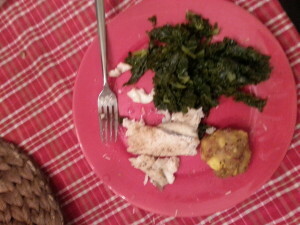 Last night, I served it with Halibut and steamed kale. Usually Mofongo is made one serving at a time in a pestle, I wasn’t about to do that, so I used a blender to mix all the ingredients. Peeling and sauteing the plantains took a little time, because I had to do 6, and I sauteed in two batches, but after that it was fast. I blended the ingredients, popped them into a muffin pan, and cooked on 400 for 10 minutes. They were already warm from cooking the plantains and bacon. Oh my gosh it’s good!